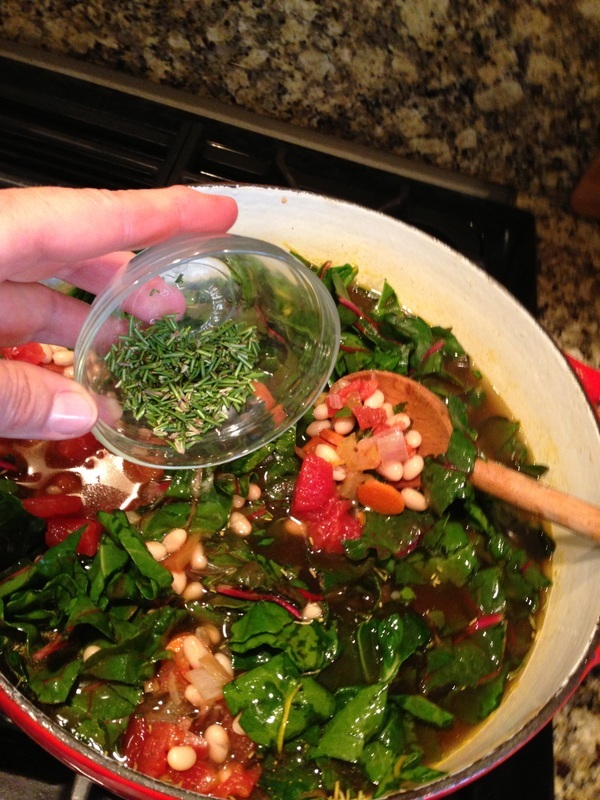 Heat the oil over medium heat in a large soup pot. Saute onion and carrot until onions are translucent, 5 minutes. 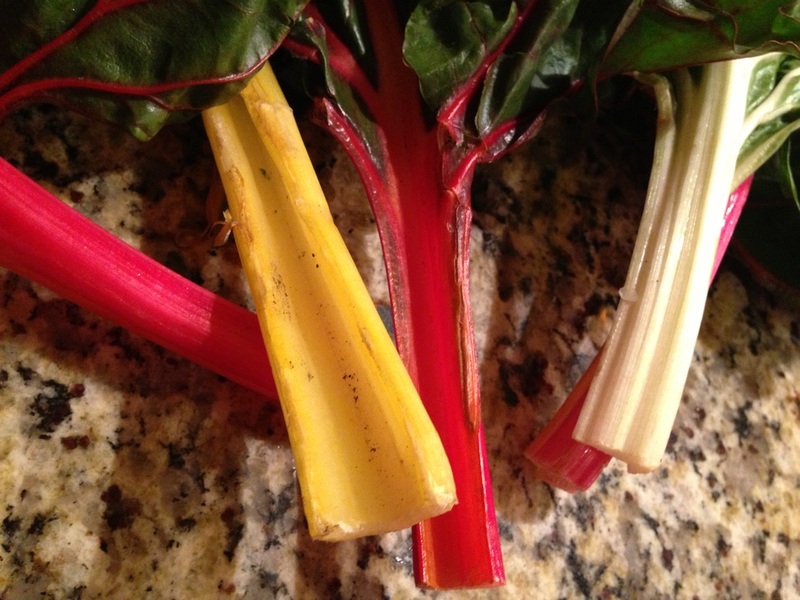 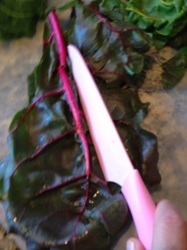 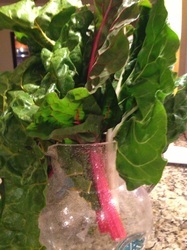 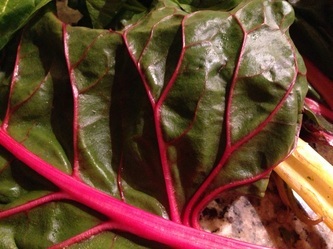 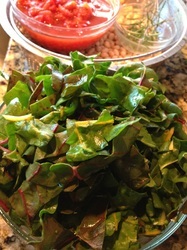 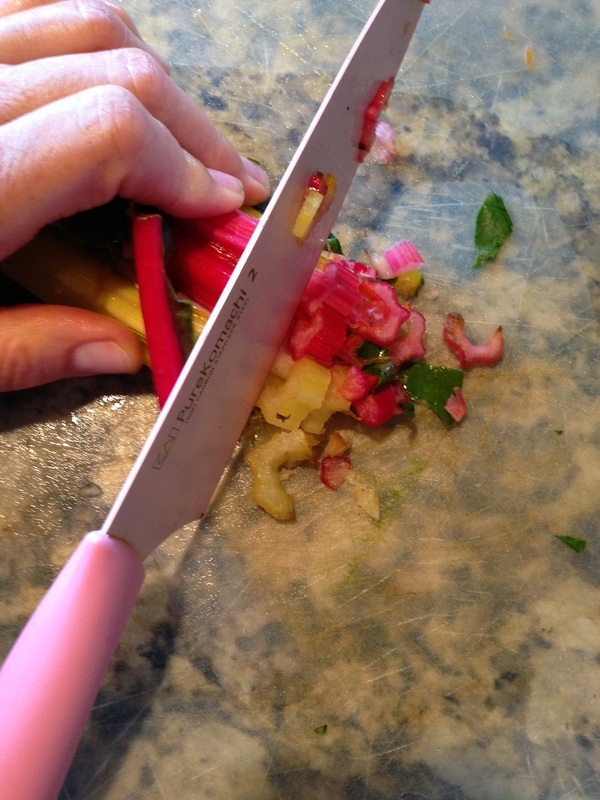 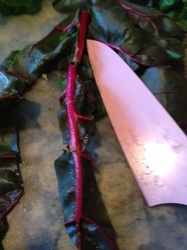 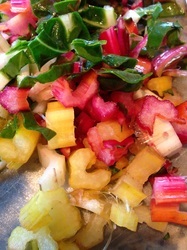 Add the Chard stalks, salt, pepper and red pepper and sauté another 5 minutes. 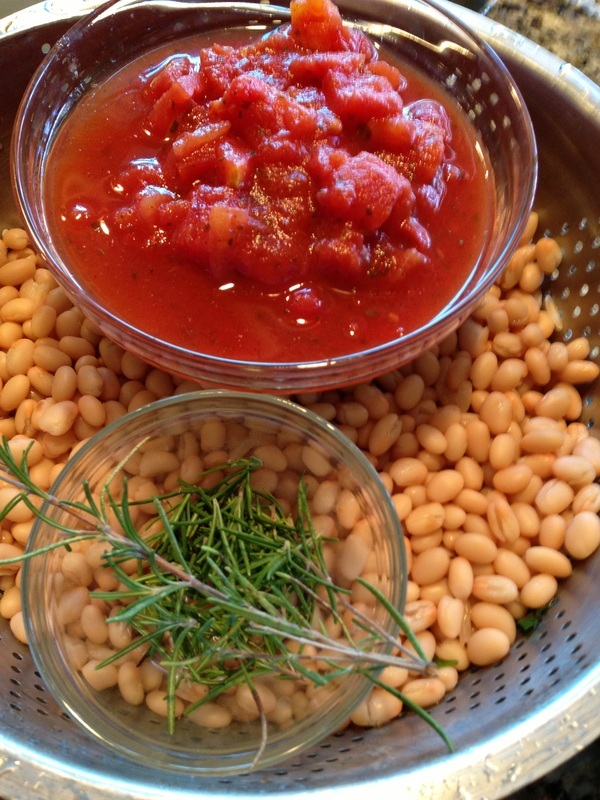 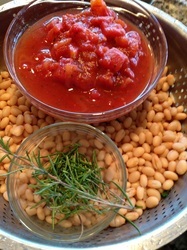 Add the stock, beans, tomatoes and rosemary. 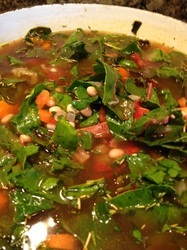 Bring up to a boil, then reduce the heat and simmer for 20 minutes. 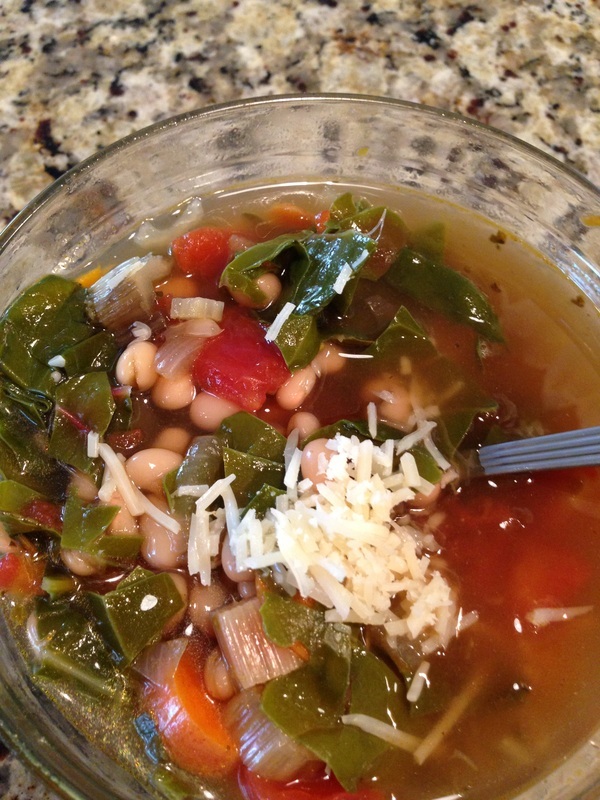 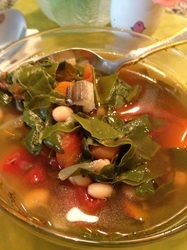 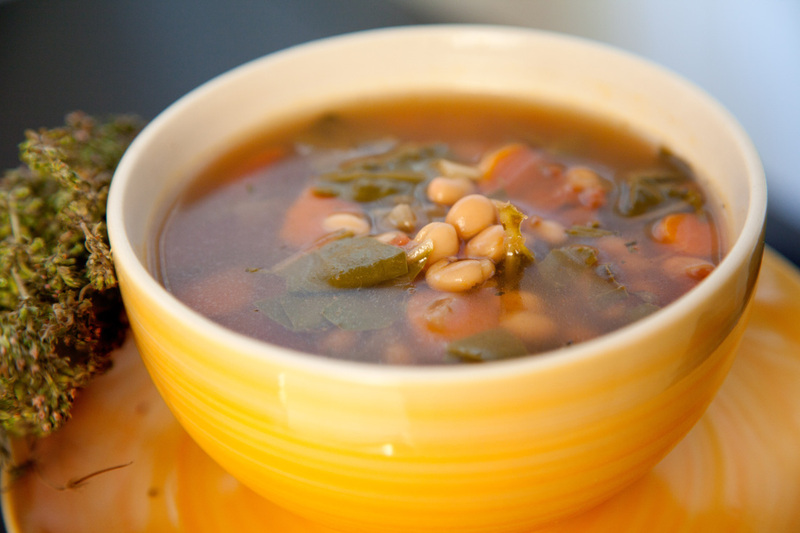 When the beans have softened add the chard leaves and cook for another 8 minutes.